Spring has sprung, which might be the culprit of your runny nose, itchy eyes, and sneezing. The good news is that your seasonal allergies don’t have to keep you inside now that the weather is nice. There are treatment options available and ways to reduce your exposure to allergens. According to Women’s Health, pollen allergies start as early as March and last until the first frost. Tree pollen is a top allergen in March, while grass pollen peaks in late spring. Do you want up-to-date information on which pollen is prevalent in your area? Pollen.com has a 5-day allergy forecast based on zip code. You can use this information to plan your outings when pollen is high in your area. Pollen counts are at their highest in the morning and on dry, windy days, according to the Mayo Clinic. There are over-the-counter medications that can help alleviate symptoms associated with seasonal allergies. 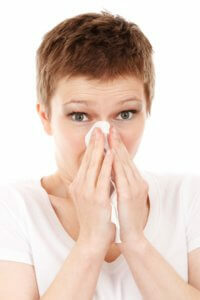 Oral antihistamines are a great choice if you need to relieve watery eyes, a runny nose, itching, and sneezing. Decongestants work well for nasal stuffiness. Try a combination medicine like Claritin-D or Allegra-D if you need an antihistamine and decongestant. If over-the-counter medications are not enough, a provider may suggest allergy shots. If you are unsure of which over-the-counter medication to try or if your symptoms persist, visit Advanced Urgent Care & Occupational Medicine. 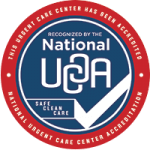 With locations in Brighton, Northglenn, and Fort Lupton, our providers can evaluate your symptoms and recommend what is best to treat your seasonal allergies today.